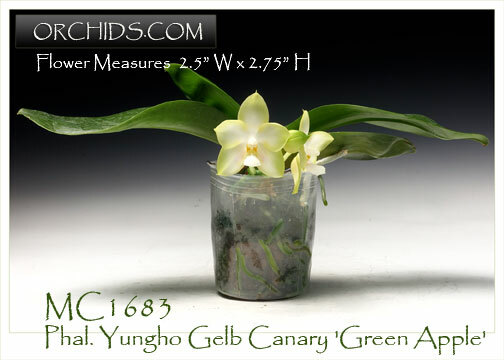 A rare opportunity to obtain this limited Stem Prop from Mituo Orchids in Taiwan ! 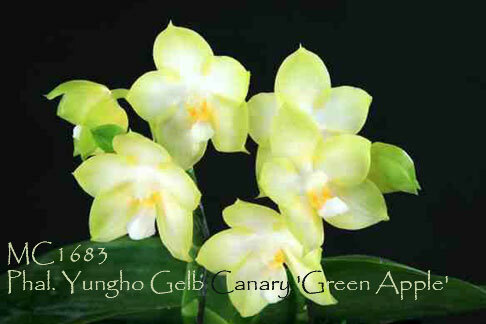 Its waxy white flowers are flushed a rich canary yellow on their margins, the inflorescences robust and compact and carrying a lovely lemony fragrance. This clone, ‘Green Apple’, was so named for the fact that it breeds “green”, both as a pollen and a pod parent, with its parentage possibly being polyploid. Limited. Ideal for breeding on for green progeny and Very Highly Recommended ! Green Apple', Note: Only 3 Available!